Engaging features capture students interest and facilitate learning. Each section opens with a reading activity, a vocabulary activity, and key terms. Review questions at the end of every section reinforce content. Life Sketch-introduces chapter concepts through an interesting, real-life story. Use What You Learn-students apply what they read to given situations. Weigh the Facts-compare and contrast important concepts. Investigate Further-students analyze what they learn and expand their knowledge. Think More About It-extend learning through critical thinking. Link to Your Life-reflect on how the text related to student experiences. 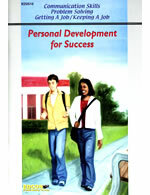 Each chapter concludes with a Think It Through case study and suggested activities. Many of these provide differentiated learning opportunities to use with students who respond to various learning styles. Each unit concludes with a Connecting with Career Clusters feature that focuses on a specific career. 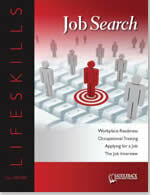 Career pathways, career outlooks, and activities such as job shadowing and community service are included. Workbook: Designed to help students review content, apply knowledge, and develop critical-thinking skills. 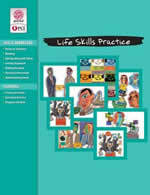 A wide variety of activities help students review child development principles and theories and apply chapter concepts. This supplement is a consumable resource, designed with perforated pages so that a given chapter can be removed and turned in for grading or checking. Teachers Edition: Presents a variety of instructional strategies in the margins of each page that are intended to guide you in reviewing and reinforcing the chapter content. Related Web sites are often cited along with technology applications and cross-curricular ideas. 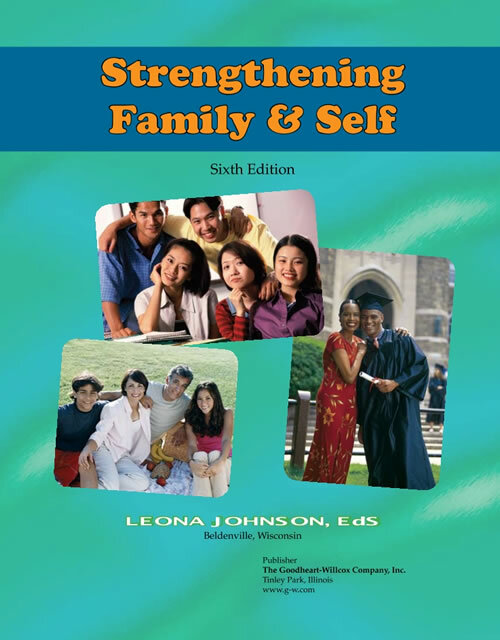 It also provides discussion topics, enrichment activities, assessment techniques, and correlations to the National Family and Consumer Sciences Standards. Windows: Intel® Pentium® II or compatible processor, Windows 2000/XP, 128 MB RAM (256 MB RAM recommended), Microsoft Internet Explorer (6 or higher),PowerPoint Viewer (free download), Adobe® Reader® (free download). Macintosh: PowerPC® G3, G4, G5 or Intel® processor, OS X (10.3 or higher), 128 MB RAM (256 MB RAM recommended), Safari (2.0 or higher), PowerPoint Viewer(free download), Adobe® Reader® (free download).